Mohanlal-starrer 1971: Bharatha Sarihaddu (1971: Beyond Borders in Malayalam) is yet another period film set in the same year as Ghazi. This time, it’s not the Navy men who are inspiring patriotic feelings in us, but Army men. The teaser is out yesterday at 6 PM. The film marks the Malayalam debut of Telugu actor Allu Sirish. 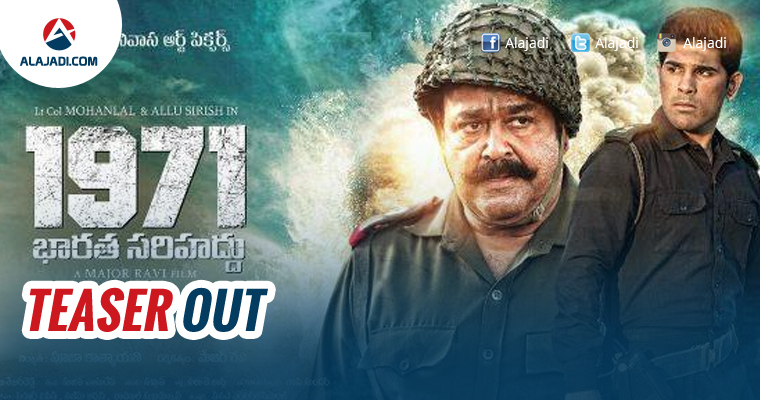 Directed by Major Ravi the war thriller marks the fourth collaboration of Mohanlal with Major Ravi, who is a former army man. 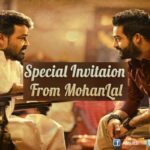 Telugu fans of superstar Mohanlal have all reasons to celebrate, as both the Telugu and Malayalam versions of the film are releasing simultaneously on the same day. It is an Indian War Drama. Mohan Lal, Allu Sirish and Arunoday Singh essay key roles. In the film, Mollywood Superstar reprises the role of Major Sahadevan. Allu Sirish plays the role of a soldier who is everready to sacrifice his life for the country. Arunoday Singh leads the Pakistan Army. Needless to say, It’s Mohan Lal and Arunoday Singh who leave a mark of their own in the teaser. Hope, Allu Sirish’s Malayalam debut will be a memorable one. It will be released in all Malayalam, Telugu and Hindi in the month of April. Also starring Asha Sarath and Arunoday Singh of Bollywood in other crucial roles, the Telugu version is produced by Pooja Katyayani on Sri Srinivasa Art Pictures. Dialogues are from M Rajasekhara Reddy. Music is by Siddharth Vipin, Najim Arshad and Rahul Subramanian, whereas Gopi Sunder has composed BGM. DoP is by Sujith Vaassudev.